We’re halfway through the South African leg of the European Tour’s season, and Spain’s Pablo Martin and South Africa’s Ernie Els have already notched a victory. This week the European Tour heads to the East London Golf Club in Eastern Cape and the Africa Open betting odds would suggest another South African victory is on the cards. Ernie Els and Tim Clark are in Hawaii this week playing on the PGA Tour, but that doesn’t stop South African’s taking up the first five places in the Africa Open betting. 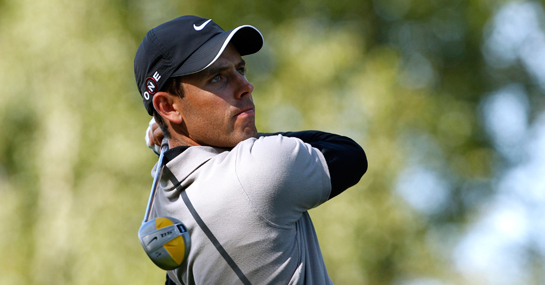 Charl Schwartzel won here last year and is the 5/1 joint favourite after two top five finishes in the first two tournaments of the 2011 season – he is joined at the top of the market by Retief Goosen. Last year’s Open champion, Louis Oosthuizen is the second favourite at 8/1 and is some way clear of Thomas Aiken and James Kingston who are both priced at 16/1. Robert Rock is the leader of the European charge and is priced at 20/1 after two top-ten finishes in his last two tournaments. Another Englishman to watch out for is Robert Dinwiddie who also has two top ten finishes in his last two tournaments and offers plenty of value at 33/1 to win the Africa Open. Of the remote outsiders, Ross McGowan is worth a cheeky look at 66/1, as is Miles Tunnicliff who finished eighth here last year and is a massive price at 150/1. But the South African’s have dominated the opening two tournaments in their home country and Goosen can improve on his second place finish in the South African Open by winning this week. It’s difficult to see past Goosen, Oosthuizen and Schwartzel finishing first, second and third, but Dinwiddie is definitely worth a punt for a top five finish. A £10 stake on Ross McGowan winning the Africa Open would return £670. New customers can sign up here for a free £10 bet.